The Elie Saab show is probably the one I look forward to the most of all the couture shows. 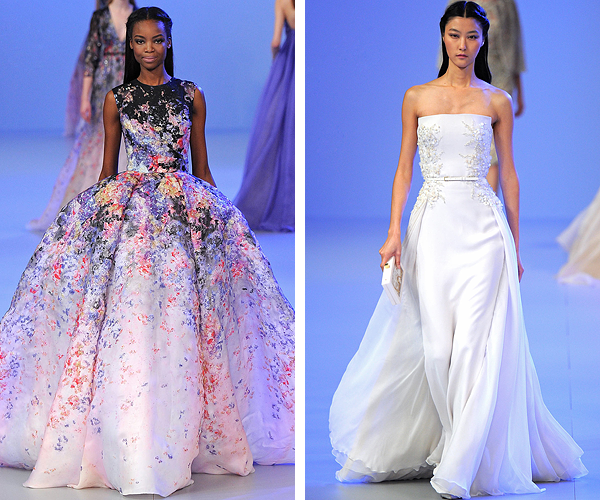 There's something so special about every look that comes down the runway and it makes me so giddy to see each design. I can always tell when a celebrity is wearing a Saab gown on a red carpet before they reveal who they are wearing, there is just that tell. 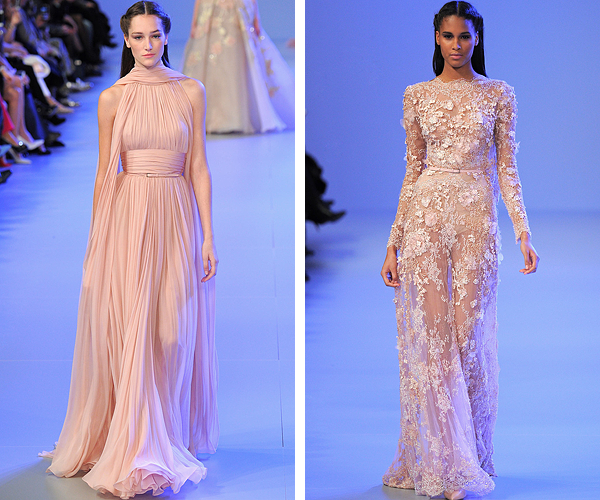 Elie Saab just really knows how to dress a woman's body. The silhouettes are always perfect and look flawless on every body shape I've ever seen a dress of his in. This collection was not only done in classic pastel shades and winter whites, but also in bold spring colors like a bright raspberry red. There were florals that reminded me of an Oscar de la Renta dress from a past collection, but it was so beautiful I let it go. Take a look at the stunning looks below. 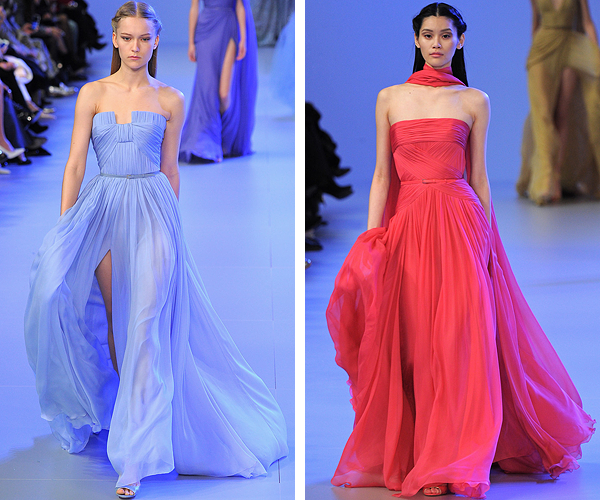 Elie Saab is my absolute favourite couture designer, his creations are just gorgeous every year. Lovely post! The collection is u t t e r l y beautiful and the silhouettes are delightful. I would agree that some of the pieces give off an Oscar de la Renta vibe. Elie Saab always gets it right! 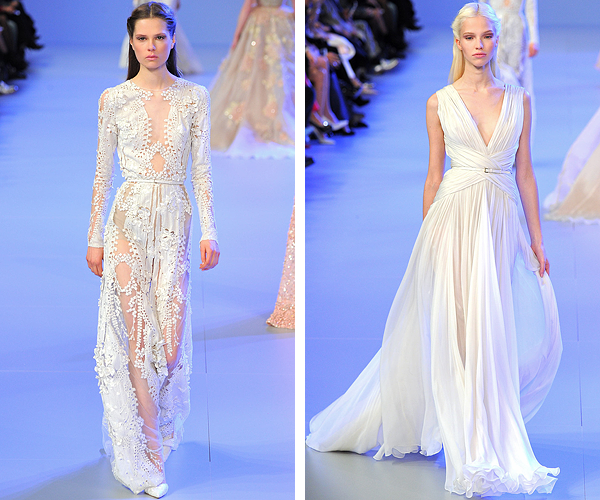 The truth is, no one does it quite like Elie Saab. I'm glad he went for some 'goddess gown' variety this time! The 2nd girl looks good in the dress.